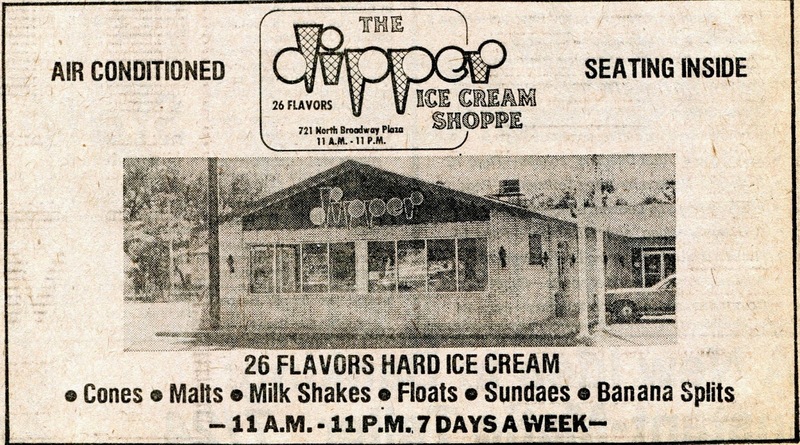 The Dipper – Ice Cream Shop – In the mid 1970’s The Dipper was located at 721 North Broadway. They featured 26 flavors of hard ice cream. The Dipper also had cones, malts, milk shakes, floats, sundaes, and banana splits…. It was air conditioned and provided inside seating. 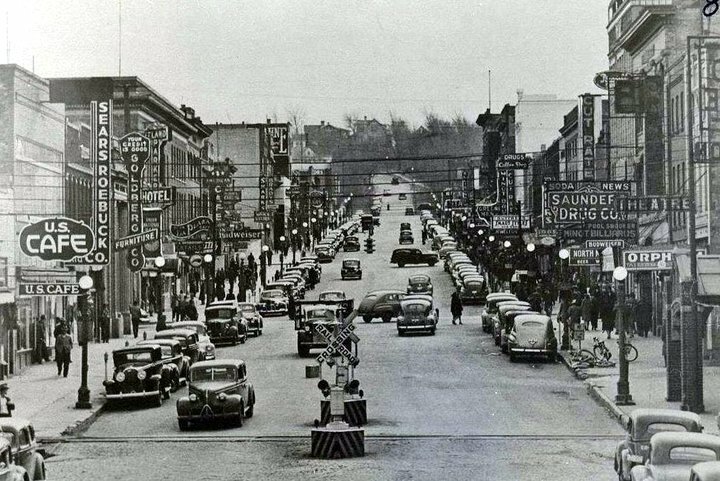 This is about where Subway on North Broadway is located.